To understand the English Bible one must know something of the history of the English language. The English language is the richest language in vocabulary of all the more than 5,000 languages and dialects on earth today. It has over 500,000 words compared to the German language with 185,000 words and the French language with 100,000. English is a “mongrel” language made up of several other languages: Celtic, Latin and Greek. Our language, English, falls into three categories, Old English (about 400-1150 AD), Middle English (1150-1500 AD), and Modern English (1500 AD to present). Modern English had its most rapid rate of development in the 17th centry because of the writings of Shakespeare and the Authorized Version of the King James Bible of 1611. There are at least ten partial translations of the Scriptures into Old English. The first of these translations was done by Caedon (AD 680). The most famous of the ten translations were by the historian and theologian, the Venerable Bede, Father of English history and Alfred the Great, King of England (871-901 AD). In this period of the English language a professor from Oxford University, John Wycliffe, did a translation of the Bible into English because he wanted people to have it in their language. He spent fifteen years in his translation work and had hand written copies made for distribution. It took a scribe months to make a copy, and it cost the equivalent of a year’s salary to purchase. For 145 years the Wycliffe Translation was the only complete translation in the English language. In 1436 Johan Gutenberg of Germany invented the printing press, and in 1440 he invented the movable type press. 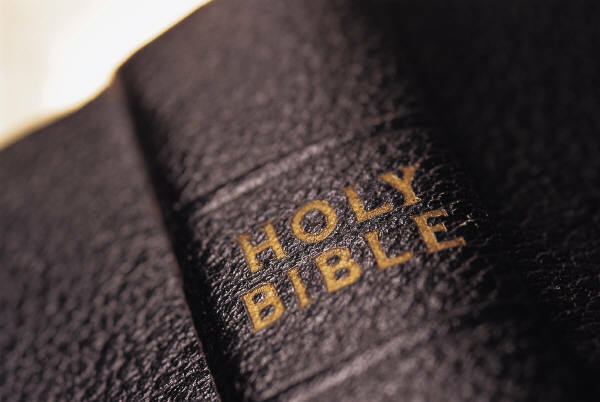 These inventions allowed the Bible to be copied more quickly and in greater quantities. William Tyndale was born around 1484. He attended both Oxford and Cambridge and was a skilled linguist in several languages: Hebrew, Greek, Latin, Spanish, Dutch, and Italian. While at Cambridge he studied under the great Greek scholar Erasmus who was later responsible for the Textus Receptus. After Tyndale translated his Bible into modern English, nobody would print it; so he moved to Germany where he met Martin Luther. His first printing was 3,000 copies. A second printing of 10,000 was soon off the press; most of these were smuggled back into England. Strict laws against Tyndale’s Bible were enacted. Before he finished translating the Old Testament, he was burned at the stake on October 6, 1536. By 1566, over 50,000 copies of his New Testament were printed. Tyndale is remembered as the father of the English Bible. After Tyndale’s version, nine new versions of the Bible appeared in the next eighty-five years. These included: The Coverdale Bible – 1535; The Great Bible – 1539; The Taverner’s Bible – 1539; The Geneva Bible – 1560 (the first English Bible to omit the Apocrypha and also the first hand sized Bible; The Bishop’s Bible – 1569 (clergy Bible); and the Douay-Rheims Bible – 1609. In the early 1600’s John Rainolds appealed to King James I of England for authorization to produce a new translation. Rainolds, who was president of Corpus Christi College of Oxford, became known as the father of the King James Bible. Fifty-four scholars were selected for the translation committee with another twenty-one people assisting them. One of the committee of fifty-four, Dr. Miles Smith, was responsible for the grammar and adding the chapter and verse divisions. Robert Parker, the “Royal Printer,” had exclusive publication rights. The first two editions were “pulpit Bibles”; the third edition was made smaller for home use. After the King James Bible, which was translated from Erasmus’ Textus Receptus (Received Text), there have been some 200 English Translations, mostly from the Westcott and Hort text. The theories of Westcott and Hort were challenged by Dean John Burgon who proved the superiority of the Textus Receptus over Westcott and Hort’s text. We at Harbour Light Baptist church support the work and conclusions of Burgon. The following chart is intended to help identify the major landmarks leading to the production of the King James Bible. it is not intended to be exhaustive, but simply to help locate some of the major events that led to the production of this work, and which affected its early reception. 1456: Johannes Gutenberg produces the first printed Bible, in Latin. 1516: Erasmus publishes first Greek New Testament. 1517: Indulgence controversy; Martin Luther posts the Ninety-Five Theses. 1520: Luther publishes The Appeal to the German Nobility, demanding that lay people be allowed to read the Bible for themselves. 1521: Diet of Worms; Luther works on translating the New Testament. 1522: Luther publishes German translation of the New Testament. 1525: William Tyndale’s first attempt to publish the New Testament in English is thwarted by Cochlaeus. 1526: The first complete English edition of the New Testament is published by William Tyndale in Worms. 1530: Tyndale publishes his translation of the Pentateuch (the first five books of the Old Testament). 1531: Tyndale publishes his translation of Jonah. 1535: Coverdale Bible published-first complete English Bible. 1540: Execution of Thomas Cromwell, advocate of Protestant ideas and champion of English translations of the Bible. 1557: Publication of William Whittingham’s Geneva New Testament. 1569: Geneva Bible published in Scotland. 1571: Every cathedral ordered to set up a Bishops’ Bible for regular use. 1582: Douay-Rheims New Testament published. 1604: Hampton Court Conference, which took decision to publish new English translation of the Bible. 1610: Final editing of new Bible translation; death of Richard Bancroft, Archbishop of Canterbury. 1611: Publication of the King James Bible. 1675: King James Bible published by Cambridge.